The Most Reverend Paul Sanchez was born November 26, 1946, in Brooklyn. He earned a Bachelor of Arts from St. Bonaventure’s University, a Master of Arts from the University of Notre Dame and a Licentiate of Sacred Theology from the Pontifical Gregorian University in Rome. He was ordained December 17, 1971, by then-Bishop James Hickey (later His Eminence James Cardinal Hickey of Washington, D.C.) at Saint Peter’s Basilica in Rome. His priestly assignments include Our Lady of Mercy, Forest Hills (1972-75), St. Michael, Flushing (1975- 87), and St. Sebastian, Woodside (1987-91). He served as pastor at St. Agatha, Brooklyn (1991- 2001), and Our Lady of Mount Carmel, (2001-08), while also serving as administrator of St. Margaret Mary, Long Island City. He was named Vicar for Queens North in June 2008 and served this area until January 2013. Then-Father Sanchez was named vicariate coordinator for the diocesan Liturgical Commission in January 1975. He served as a member of the Presbyteral Council, January 1984; member of the diocesan team for Ministry to Priests, January 1985; member, International Committee on English in the Liturgy sub-committee, January 1978 to January 1979. A passionate teacher, he was an adjunct faculty member at Saint John’s University and the Seminary of the Immaculate Conception in Huntington, New York. Bishop Sanchez was named a Prelate of Honor by Blessed John Paul II in 1997. He speaks English and Spanish. Bishop Sanchez is currently serving as the Pastor of Our Lady Queen of Martyrs Parish in Forest Hills, Queens. 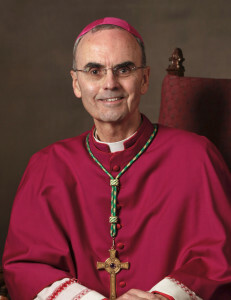 Bishop Sanchez was named Vicar for Queens North in June 2008 and then served as Vicar for Queens from June 2009 through January 2013.